Barra da Lagoa is privileged by their landscapes. Walking you will find paradisiacal scenes, like Prainha. The access is easy. Just cross the suspension bridge and follow the trail. Prainha is a small beach, with a lot of stones, very green, where the people be resting under the trees. Barra da Lagoa was a town of fishermen. With the growth it was dismembered of the district of Lagoa da Conceição. During the month of July who visits the beach of Barra da Lagoa, can prove that the one of best in fruits of the sea. The Party of the Mullet (Festa da Tainha) takes place beside the suspension bridge, postcard of the place, a great mounted structure to receive about 10 ... Morethousand people. We are only 50 meters from the beach. 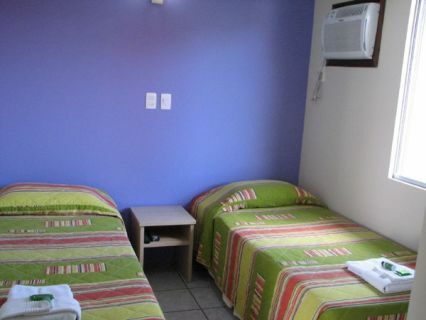 All the apartments are equipped with box spring beds, complementary broadband Internet hookup, color television set, kitchen with microwave ovens and refrigerator. It also has private bathroom and hot shower. The luxury apartment has air conditioning, this is something that really counts when you are at the beach in a Tropical Country. The standard apartment has ceiling fan. 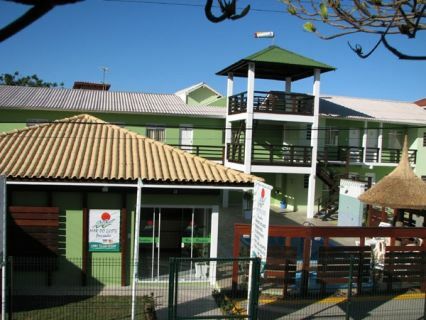 But we think that what you´ll like most is our swimming pool and the friendly atmosphere. In the morning, a delicious complementary homemade breakfast is served. We also have complementary enclosured parking for your safety. The Inn is open all year. We care about your well being and comfort, so you can enjoy unforgattable vacations. Said: Uma Pousada muito tranquila e muito bem localizada. Eu e minha esposa tivemos um final de semana muito bom hospedado nela. Tem ótimos lugares para visitação na Barra da Lagoa e praias adjacentes tais como Joaquina e Lagoa da Conceição. Ficamos num período de baixa temporada por isso não pegamos congestionamentos. 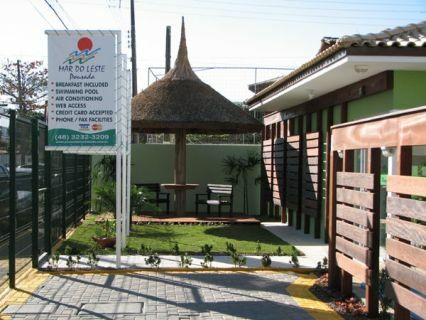 Leave your e-mail so that we will advise you when the Mar do Leste Pousada is available at this time.